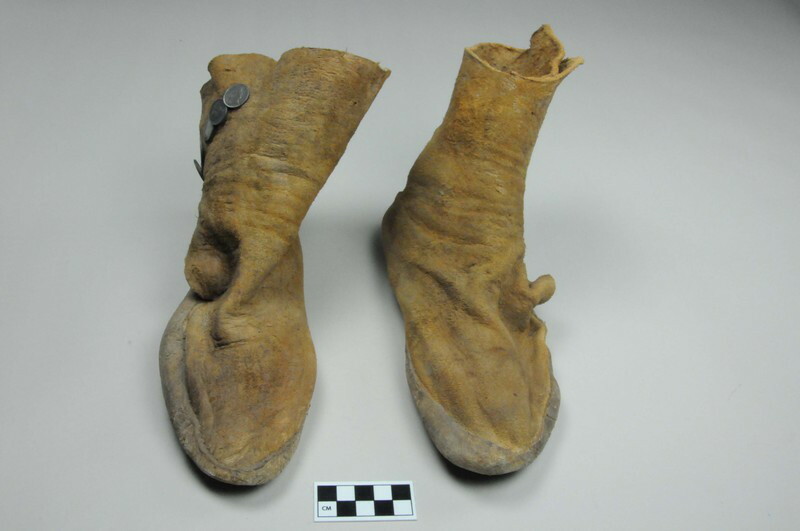 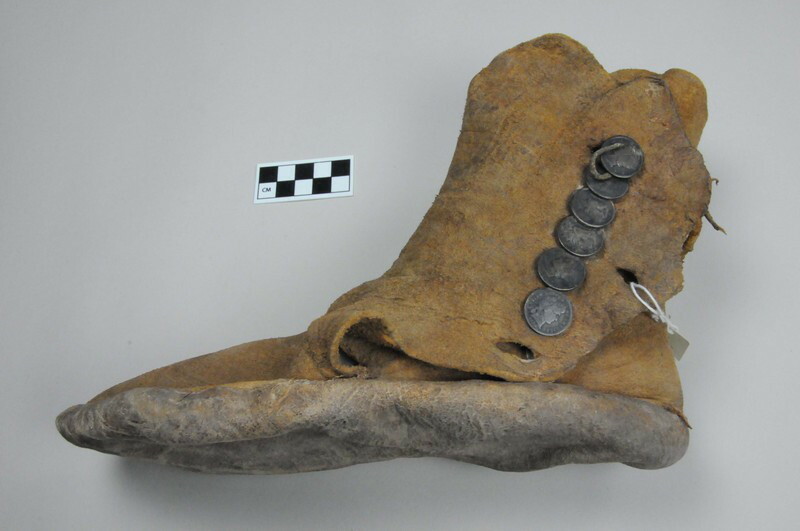 Pair of Navajo leather moccasins with dimes attached to ankles as buttons. 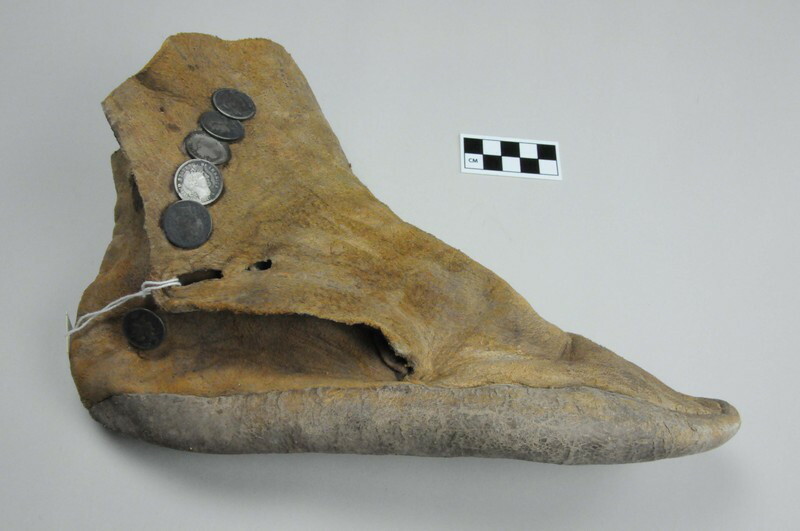 Seven dimes on left moccasin, 6 on the right. 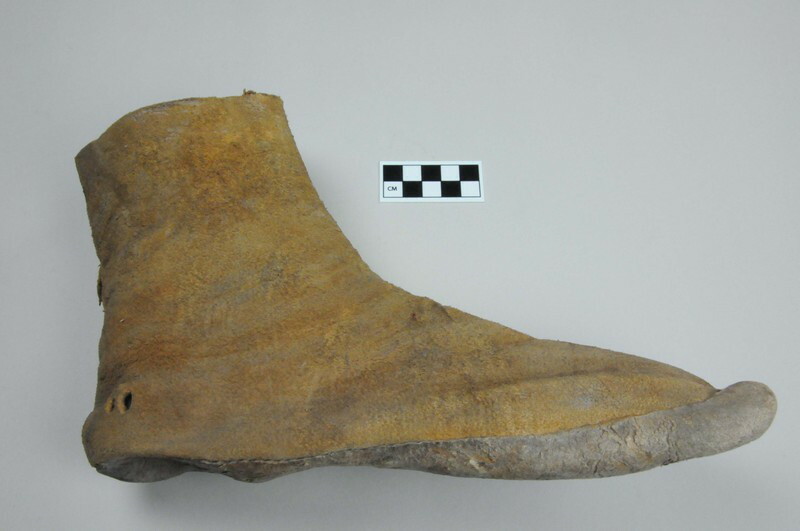 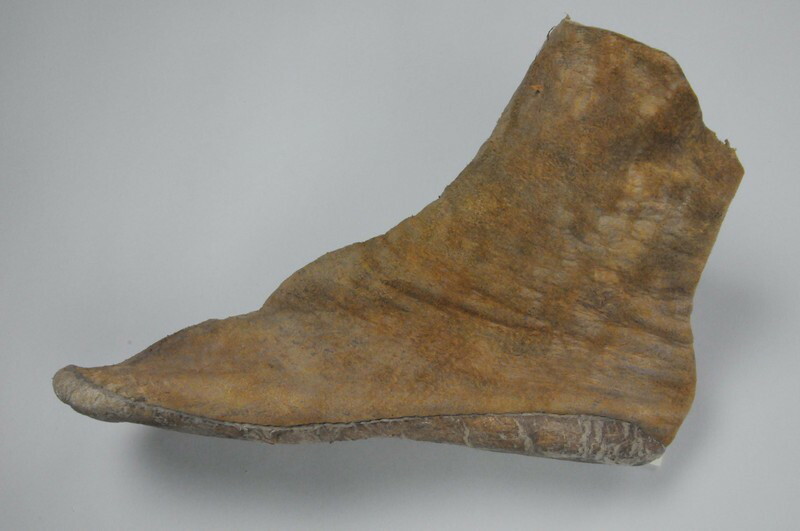 Upper has hide laces for attachment, sole is rawhide.